Wasps & Bees Are Back - Yes Pest Pros, Inc. Wasps & Bees Are Back - Yes Pest Pros, Inc.
As we all know, spring means flowers and new life. All of these flowers and other plants that need pollinating aren’t going to do it on their own. They need help, and just like every year insects will go from flower to flower collecting nectar for food all while pollinating the plants in the process. And most of us have absolutely no problem with that. In fact, we encourage it. The problem occurs when bees and wasps decide to move in to a location that is disturbingly close to where we live. In the rafters of our home. In an old stump in the front yard. Under the wooden deck in the back. None of these are acceptable places and can mean big problems for everyone involved – humans, bees, and wasps alike. Bees and wasps both deliver dangerous stings that can be deadly in a surprising number of situations. Bees can only sting once because their stingers are barbed. However, that also means that the stinger remains in the person once the bee flies off. Wasp stingers are not barbed at all, and this means that they can sting over and over again. Both have venom that can harm a person. Small children, pets, and people allergic to this venom are all at serious risk when around bees and wasps. Even a fully grown adult not allergic to venom can be seriously hurt or even die when there are just too many bees or wasps attacking. 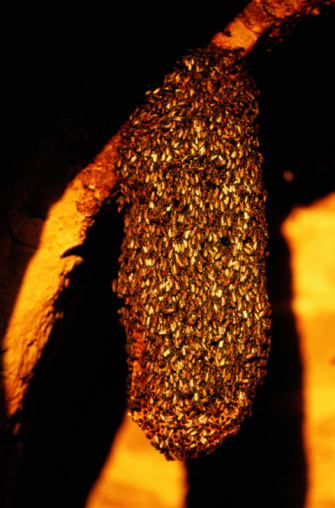 If bees or wasps are allowed to build a nest in an inappropriate location, then their numbers will only grow. It is best to keep them from building at all and forcing them to choose a different location. But what if you never realized what they were doing? Or what if you see a lot of bee or wasp activity, but have no idea where their nest is? It’s time to call in some extra help. A Bloomington pest control technician can check out your property and will find out where the bees or wasps live, as well as provide you with information of what can be done about the situation. If you contact the right company, you will learn about possible green alternatives to poison or chemicals when it comes to removing the insects. Choose whatever option seems best to you. The technician will take care of the problem as well as educate you on ways to ensure that bees or wasps don’t find a place to move in when next spring rolls around. That way you can enjoy their buzzing and flower pollinating from a safe, comfortable distance.